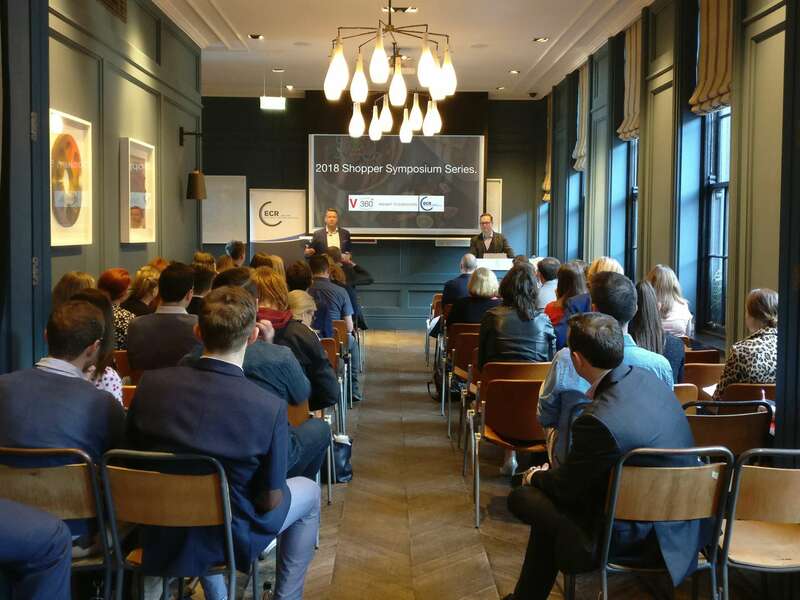 V360° launched the 2018 Shopper Symposium Series at The Dean Hotel, in Dublin on Friday 20th April in conjunction with ECR. The symposium is an opportunity for friendly, collegial discussion around the future direction of retail in Ireland. Our opening event focused on the ‘The Future’. 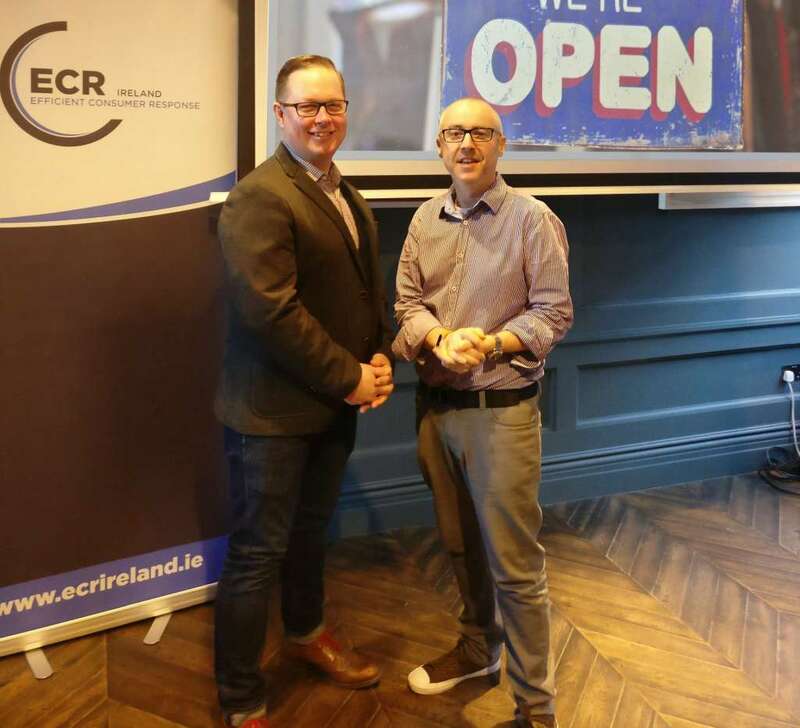 The first presentation ‘The Future Is Now’ was delivered by Robert Flavin, Director, Strategic Planning at V360° followed by Keith O’Reilly, co-founder of Bionic with ‘The Future, are we there yet?’. 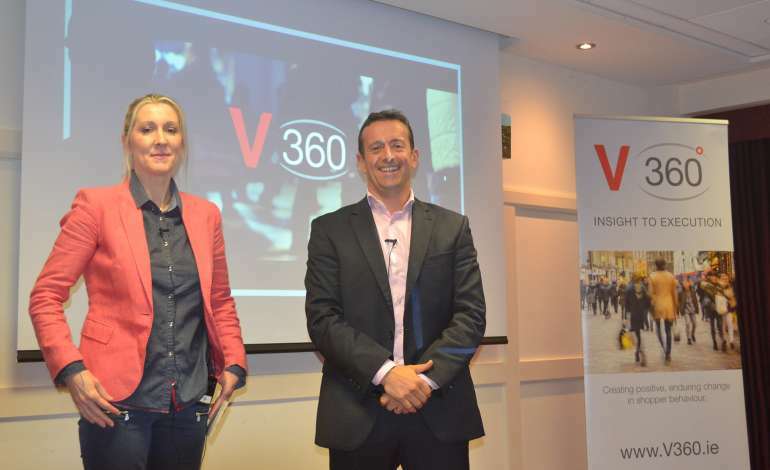 V360° is a multidisciplinary shopper agency that provides a full service from insight to execution. We aim to help our clients solve business challenges through creating positive enduring change in shopper behaviour. Bionic – Bionic is an innovative, award winning next generation Facebook Marketing Partner (FMP) who work with brand owners and retailers in automotive, financial services and retail at the intersection of offline and online. We are living through a time of unprecedented technological advancement, bringing the future closer every day. While shoppers’ fundamental needs remain constant in terms of cost, convenience, choice and customer service, their expectations as to how those needs should be meet have been utterly transformed. 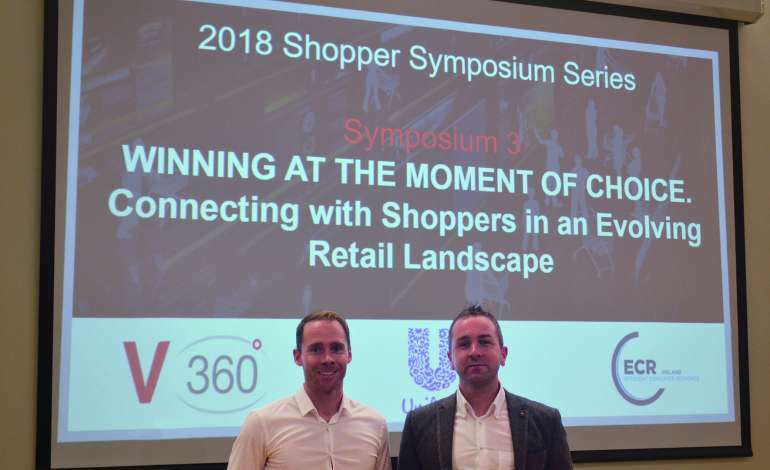 Retailers and brand owners are embracing technology as an enabler to enhance the shoppers purchase journey primarily in terms of fulfilment but increasingly earlier in the path to purchase as well as enhancing the usage occasion. It is no longer good enough to passively wait and expect shoppers to seek you out. Proactively seek out ways to nudge shoppers at key points on their purchasing and usage experience. “Our vision is to be earth’s most customer-centric company; to build a place where people can come to find and discover anything they might want to buy online” – Amazon. While Amazon will continue to grab headlines, Alibaba shows that the future is already here, with their New Retail. The future of shopping will continue to be people centric. We must provide engaging experiences while empowering people to buy better. But don’t forget the fundamentals of ease of shop and delivering economic value. “Any sufficiently advanced technology is indistinguishable from magic” Arthur C. Clarke. The business of predicting the future is notoriously challenging. So where will the future take companies like Bionic? Augmented reality, personalised retail and autonomous driving have been heralded in popular culture for some time. However the democratisation of technology through Open Technology, Simple Tools (wizards/sdks) for example means that this future world of development is available to marketers, today. Innovation and progress has exploded. While some of the opportunities are more obvious; Amazon, Google, Facebook, Twitter, Snapchat and Pinterest, others are equalling intriguing nonetheless; Uber, Spotify (just announced), Airbnb, Westfield Malls, Zalando. Bot Assisted Retail – Everlane Messenger Bot, built using free Facebook toolkit and conversational workflow. Automotive VR – Built by one amateur developer using a free SDK (software development kit) called ARKit which was released by Apple to stimulate Augmented Reality software development. Retail AR – built by one amateur developer, Andrew Hart, also using ARKit, allowing shoppers to navigate supermarkets, find products on shelves and receive recipe suggestions, offers and products based on shopping list. A “real world” BIONIC case study with Mothercare. Bionic was recently awarded the Facebook Innovation Spotlight Award for Omni-channel Online & Offline Sales for their work with UK retailer Mothercare. Mothercare’s objective was to direct people in-store and achieve the best possible Return On Ad Spend. 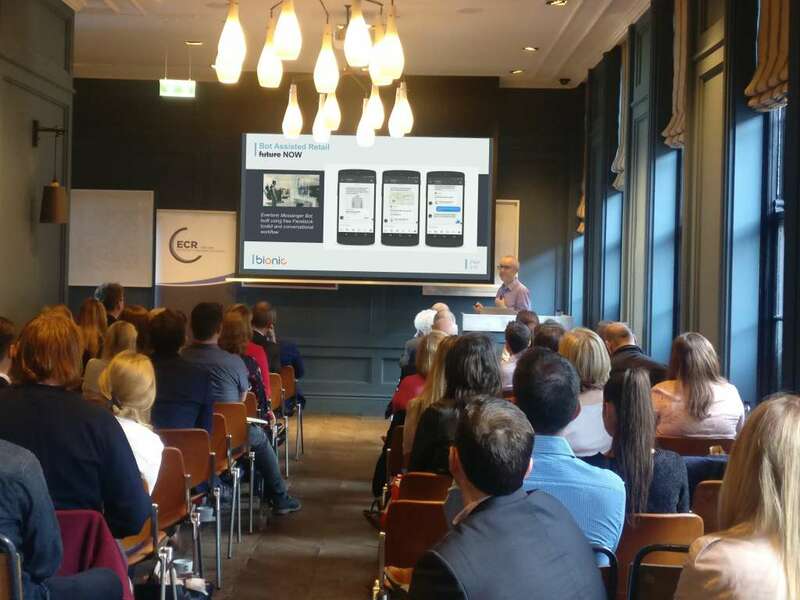 Bionic used personalised creatives to target each store to improve user experience and the Return On Ad Spend.